We previously wrote an article about the potential ban on diesel cars in London, however now the Society of Motor Manufacturers and Traders (SMMT) has launched a campaign to “challenge the increasing demonisation of diesel” vehicles. The SMMT promotes the new Euro 6 standards law which will be put into place in September throughout Europe. 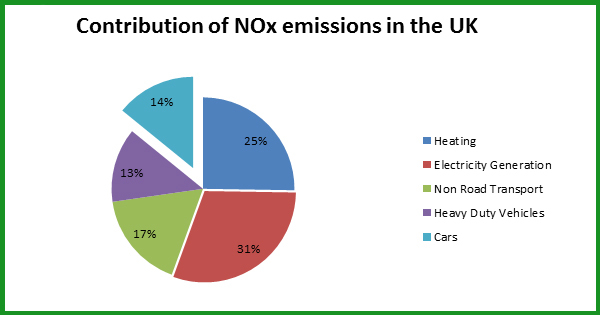 The law limits nitrogen oxide (NOx) emissions from diesel cars up to 80mg/km which will in turn decrease air pollution levels which are breaching many EU cities health regulations. The previous article looked into the uncertain future of diesel cars and how they were being scrutinised by the European politicians (even though they had originally said that diesel cars would be great for the environment). Therefore the past year has bought a lot of criticism to diesel cars due to their emissions of NOx and small particulates being larger than everyone thought. In the early 2000’s the government put a lot of money into changing road tax to a system based on how much CO2 pollution a car produces. This meant that diesel cars were favoured and cheaper because of their low CO2 emissions. British car manufacturers therefore started pumping a large amount of money into making diesel cars. 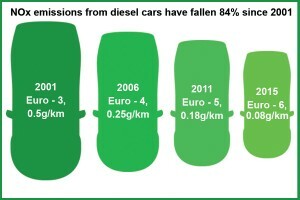 In 1994 around 7.4 per cent of vehicles were diesel cars which then shot up to 34.5 per cent by 2013. Since then researchers have figured out that there are many other pollutants besides CO2 that can seriously damage peoples health. The European Union are trying to make changes by banning diesel cars in London however, according to come recent testing, NOx levels remain high. Boris Johnson wants to double the congestion charge for diesel cars within some areas of London to £20. However, the claims have been criticised by experts that have said that the test is based on conditions that aren’t ‘real-world’. Therefore the Euro-6 regulations state that they need a real test to be put into action however there is no set date for this. Greg Archer from campaign group Transport & Environment says that the campaign introduction has been moved back from 2017 to 2020. Greg Archer from campaign group Transport & Environment said: “They’ve based it on limits and tests which are carried out in laboratories and don’t represent the amount of pollution that these vehicles actually produce on the road. And they know that. However, a spokesman from the SMMT rebuked claims they were attempting to avoid real-world testing. She said that they were ‘supportive of getting the regime in place as soon as possible’. An expert from Kings College London, Ben Barratt said that the tests are critical and need to be implemented as early as possible to make sure the regulations are a success. “In the absense of a real-world test we have to question these figures because history shows us that past performance has not delivered,” says Barrett. However Hawes said: “The charges made no sense from an environmental point of view.” This is due to the tests being flawed. Overall, there is a lot of confusion within the diesel car industry and in the news regarding diesel cars so the sooner the real-world tests are done, the quicker decisions can be made on whether diesel cars are good or bad.